Carolina Dental Arts prides itself on helping our patients achieve and maintain beautiful smiles through exceptional dental care. Offered in our locations throughout North Carolina, general dentistry services are at the heart of this goal. 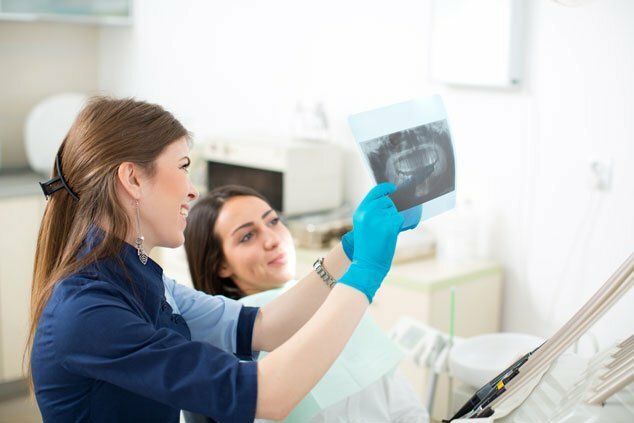 Our dentists are experienced and stay up-to-date with the latest techniques, products and equipment as an effort to not only provide excellent dental care, but also to offer you a comfortable, positive experience when you visit us. We believe that by training our patients to build healthy habits at home, educating them about best dental health practices and encouraging them to have professional cleanings regularly, your teeth, gums and more will stay healthy long-term. Our dentists treat patients of all ages and would be happy to serve your entire family. If you’re bringing your child to the dentist for the first time, our friendly staff will make sure that they are at ease while receiving any of our NC general dentistry services. Carolina Dental Arts is proud to be a family dentistry office that can offer our procedures and treatments at an affordable cost. Contact us to schedule an appointment today for a dental experience like none other.